Description: A US Geological Survey and National Ocean Service map of Washington County, current to 1988. The map shows both topographic and bathymetric features. Topographic contour lines are shown at 10-meter intervals. Bathymetric contour intervals are at 10 meters with supplementary 2-meter contours. Bathymetric datum is mean lower low water. The map shows man made structures such as U. S., State, primary and secondary roads, residences, railroads, etc. Natural features include lakes, woodland, streams and marshes. 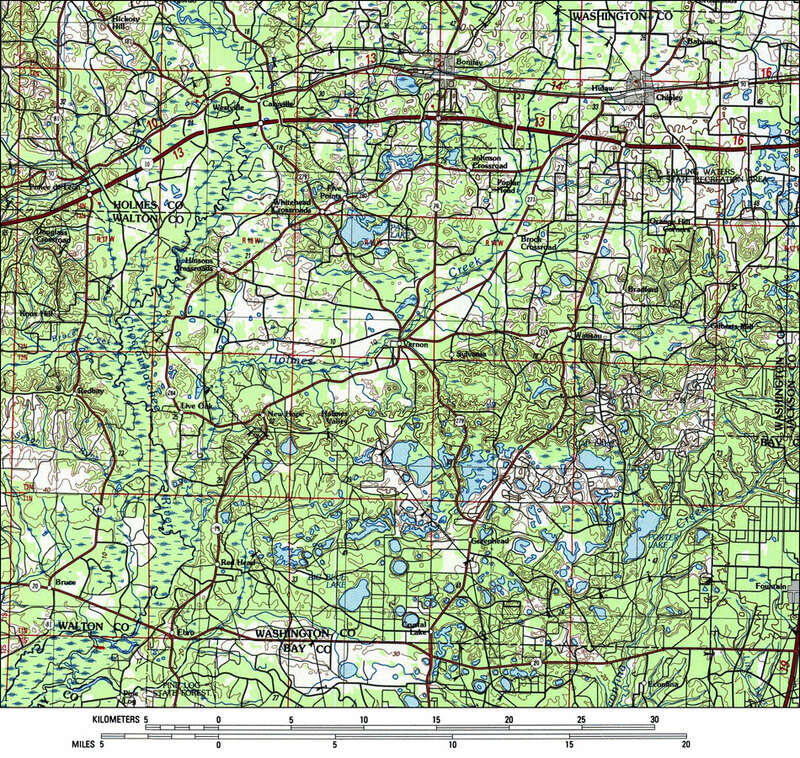 Also shown is Section Township Range (STR) based on the Tallahassee baseline and meridian. The map scale is 1:250,000. This information is not intended for navigational purposes. The National Geodetic Vertical Datum of 1929 is used. The projection used 1927 North American Datum with reference on converting to North American Datum 1983. Key to NOAA maps. PLEASE NOTE: This historical data is not to be used for navigation or navigation planning. The Florida Center for Instructional Technology (FCIT) does not assume responsibility for the improper use of these data.